Marble is hot these days. And not just on countertops. The super chic material is being used in all kinds of DIY projects. And this one might be my favorite. Click through to check out the this gorgeous (and easy!) 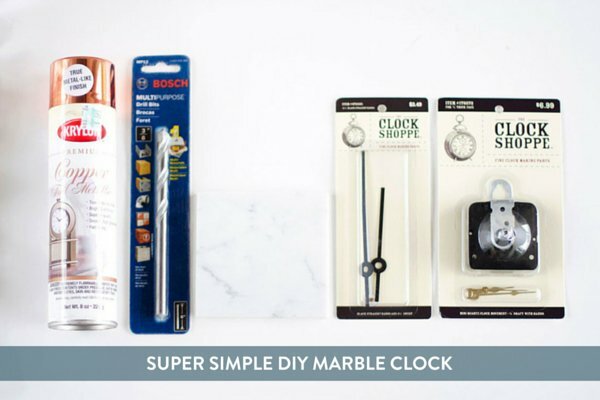 marble slab clock. I love to add emphasis and a little drama to decor pieces that are otherwise mundane and a little boring. We all have clocks in our home, but I'm sure we buy them with functionality in mind, rather than style. I decided to create this Giant Modern Clock, because it not only serves a purpose (as clocks always do), but also it adds that great burst of color and a geometric touch to the space in a big and bold way! 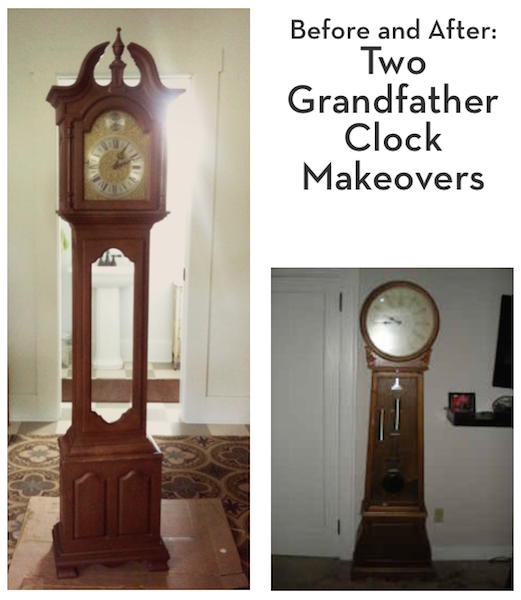 Do you have a clock hanging on a wall in your home? If not, you should. Every house needs a hanging clock! And this one is perfect because it's made from something you may already have in your kitchen! Perhaps the summer sun has gone to my head, but I love seeing pops of bright color used in home decor. This DIY watercolor clock not only seems easy to make, but its light and airy nature means that you could keep it up in your home year round. The best part about this project? No fine art skills required! Thrift shops are full of old curious finds, junk to some, jewels to others. I love this project that combined this old plate and leather belt upcycled into a Scandinavian inspired teak & leather wall clock. Details at the link below. Telling time is simple. And so are the instructions for making this clock from wood pallets! I've been getting my workspace organized this week, and as I start decorating the space, I'm quickly finding that I could use a clock and a little more wall art. So why not kill to birds with one stone? How hilarious/awesome are these DIY wall clocks?! This would be a fun project for kids or kids at heart. I mean, imagine all the possibilities! 10 Cool DIY Decor Projects to Make with Cork! From memo boards to clocks, cork can be used in a variety of stylish and functional ways in your decor! Here are ten ideas to get you started. As a kid growing up in the 80's, I most certainly did not use neon subtly. But now that it's 2013 and neon is back, it's important to use it sparingly. Here are ten ways to utilize these bright colors without overwhelming your space. Equal parts whimsy and rustic, this DIY wall clock is a cinch to make! My friends will tell you that I need more clocks in my house, because I'm always late. And it's probably true... there's nothing like the tick-tock of a real clock to remind you to be on time. But the great thing about these clocks is that they're not only functional, they're pretty too.